With clever birthday poems, like the clever poems for birthdays here, you can give friends and family a thoughtful, happy birthday message...in more ways than one. Nothing does "clever" quite like a poem. By its very nature, poetry is clever all on its own, so the choice is endless (when you really think about it). But what makes clever birthday poetry? From my experience I would say a mixture of joy and wonder: joy for the "happy" in your happy birthday and wonder for the "clever" side of life that makes you wonder (something you know the birthday boy or girl will love on his/her special day). Don't know if you're ready to make your pick? 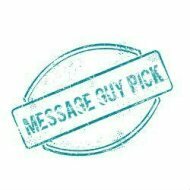 It wouldn't hurt you (and could only help you) to take a minute or less to check out Message Guy Tip #97 (right below). You need to keep in mind that most people do not like a smarty pants — least of all on their birthday. In addition, nobody likes to be outsmarted...any day of the year. But people do like brain teasers. According to the article, Why our brains can’t seem to get enough of brain teasers and logic puzzles, "our brains are stimulated by the unique challenges and problems that games and brain teasers offer." Nevertheless, as I mentioned above, we need to temper brain teasing with some regular, old-fashioned birthday cheer. Rule 1: If you think the birthday boy or girl has average intelligence, a cryptic poem (a poem with many hidden meanings) is too clever. Go for clever birthday poems that cleverly and clearly convey the message you want to express. Rule 2: If you think the birthday girl or boy has above-average intelligence, a cryptic poem (a poem with many hidden meanings) is clever enough. Rule 3: If you do not know the intelligence level of the birthday boy or girl, follow Rule 1. At the same time, you must remember to choose clever birthday poems that are not merely clever — in other words, choose a poem that also makes the birthday girl or boy feel very special. You can easily make the birthday boy or girl feel great with a poem that also includes an inspirational or sentimental component. 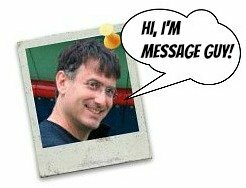 Then, it becomes a question of how inspirational or sentimental you want to be with the recipient of your message. For this little exercise, refer to my Inspirational Birthday Poems and Sentimental Birthday Poems sections for tips on choosing the right inspirational or sentimental poems. Many of the poems in this section incorporate more than the "clever" element. You can take them "as is" or add your personal touch with a simple "Happy Birthday" or a birthday wish from my Birthday Wishes section. Bottom line: You should always express your true feelings for the birthday boy or girl with just the right dose of cleverness and birthday cheer. Hidden caverns for our souls to dwell. Tuned to the strings of our hearts. Between night and the searching sun. Still your stature comes right through. Your sweet fruit is like no other. This poem does not really cover new ground. 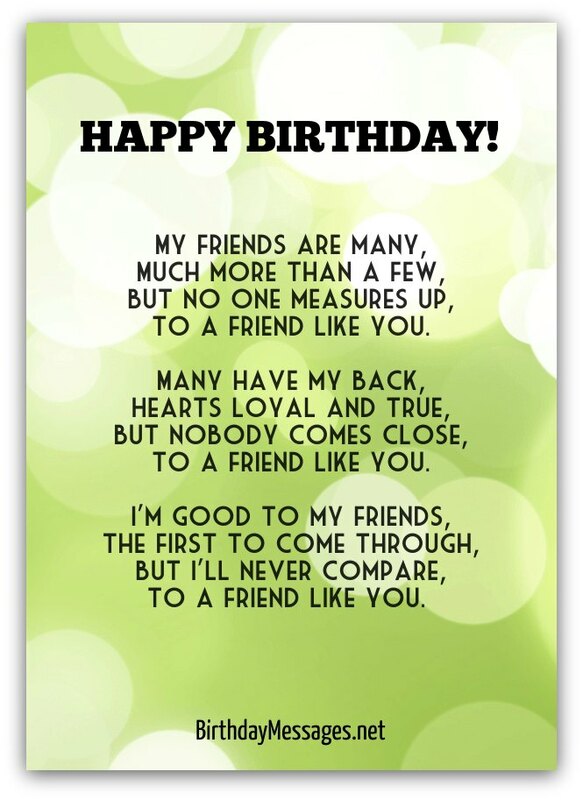 Its "friendship is more important than money" message has been expressed in many other clever birthday poems before and after Helen Steiner Rice wrote A Priceless Gift, but she manages to make it sentimental enough for a greeting card. 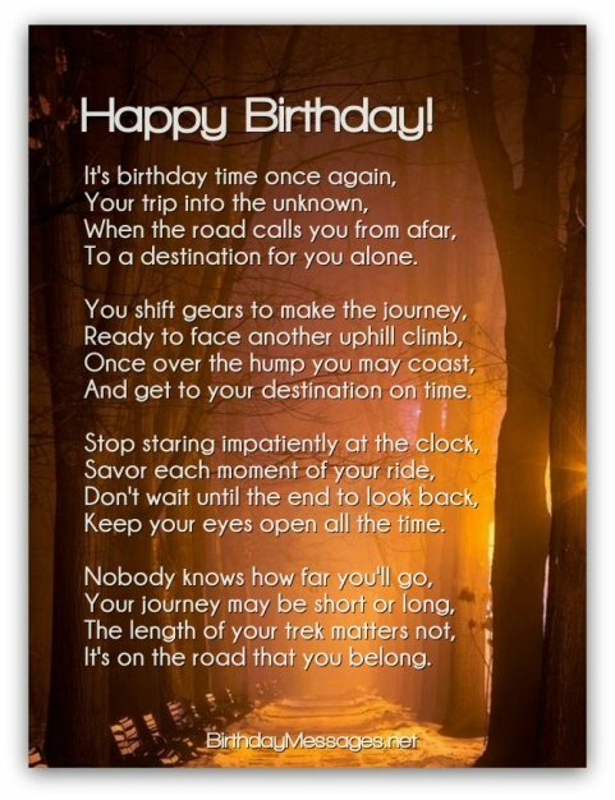 That alone makes this poem extremely clever...and an excellent poem to give to a dear friend as a birthday message. You may want to add the following as a personal birthday wish: "You're my best friend, my priceless gift. Happy birthday!" And blow all your candles out. To a destination for you alone. And get to your destination on time. Keep your eyes open all the time. It's on the road that you belong. A legacy is all you'll have left. Because you cared enough to care. And gives your life true net worth. As its name — Another Chance — clearly suggests, this poem is all about getting another chance to live a better, more joyful, more meaningful life. It even tells the reader how to get another chance: "It only takes a deep desire." This is one of my favorite clever birthday poems because it takes a rather serious issue (starting fresh) and turns it into a sentimental "life is beautiful" message. What a truly incredible birthday message to give anyone. The following would make the perfect addition to this poem: "We all deserve another chance, especially you. Happy birthday!" Need something a little cleverer? And give thanks with a smile. When it comes to birthdays, If I Knew You is the perfect poem to let a birthday boy or girl who is a friend or a family member know that you want to fix your broken relationship or friendship with him or her. This is one of those clever birthday poems that acts as an olive branch, a peace offering, a way to show that you want to end a disagreement with someone. If I Knew You cleverly offers a first step toward resolving what could be a very contentious situation. 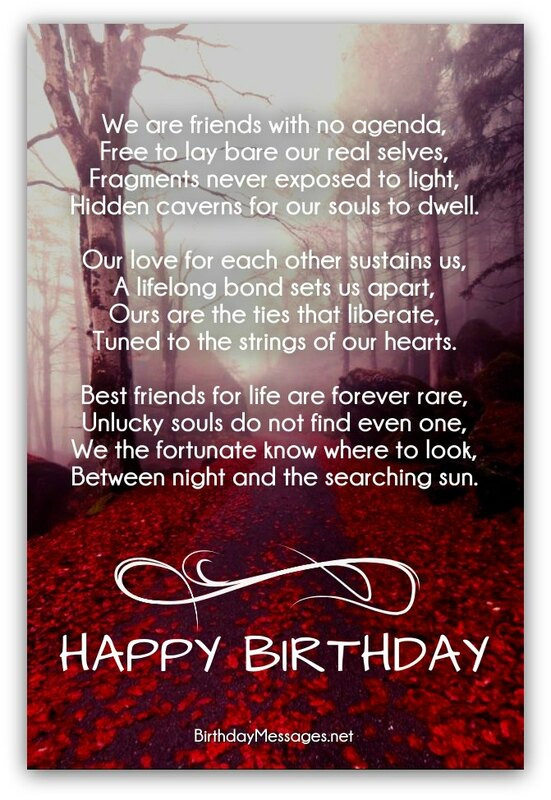 As a birthday message, it has double or even triple the power because birthdays tend to make even unintrospective people introspective enough to grasp the meaning of clever birthday poems like this one. The best way to complement this poem would be with the following birthday wish: "Let's really try to get to know each other now. Happy birthday!" To a friend like you.